Caravan and Motorhome Club members can enjoy an exclusive saving of 10% on glamping pod and yurt bookings. Better still, friends and family members can benefit from this offer too when they stay on site at the same time*. Book your stay today by heading to our sister website, Experience Freedom, where you’ll find additional details on dates, prices, availability, as well as product information, locational information and FAQs. For a comfortable, cosy glamping experience in pretty, natural surroundings, book a stay in one of our glamping pods, Airstream caravans or yurts. 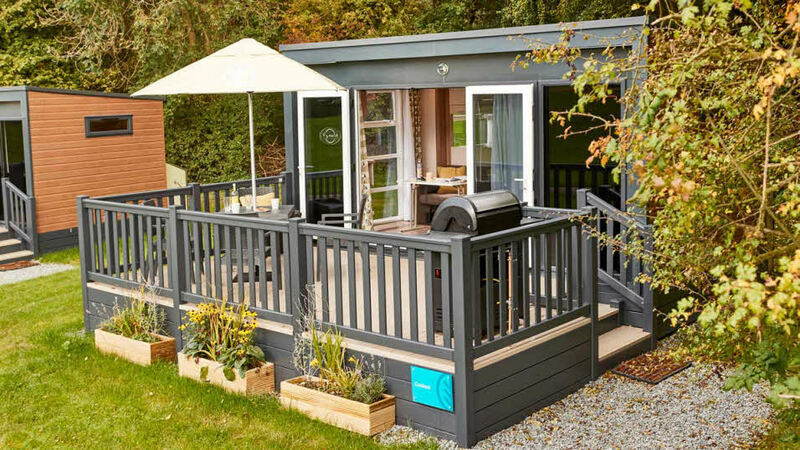 They come kitted out with all the essentials, including bedding, lighting, heating, kitchen equipment such as cutlery, pots and pans and a gas BBQ out on the veranda – all you need for the perfect holiday! Together with the existing wooden camping pods, there’s now even more on-site accommodation to choose from so that your friends and family can stay and share your love for the great outdoors. For members, the 10% discount will be applied automatically during your online booking, simply enter your Caravan and Motorhome Club membership number and proceed to confirm your booking. (Don’t forget to show your membership card when you check in on site). For friends and family, simply call us on 01342 777533 (8.45am to 5.30pm, Monday to Friday) to make your booking. To apply the 10% make sure you have Club membership card holder’s number to hand. * The friends and family 10% discount with Experience Freedom applies to bookings made over the same duration as the membership card holder. Unwind and relax in style and comfort, in one of our wonderfully diverse and picturesque glamping locations in the UK.